each kids the importance of money recognition, adding and making correct change through interactive game play. 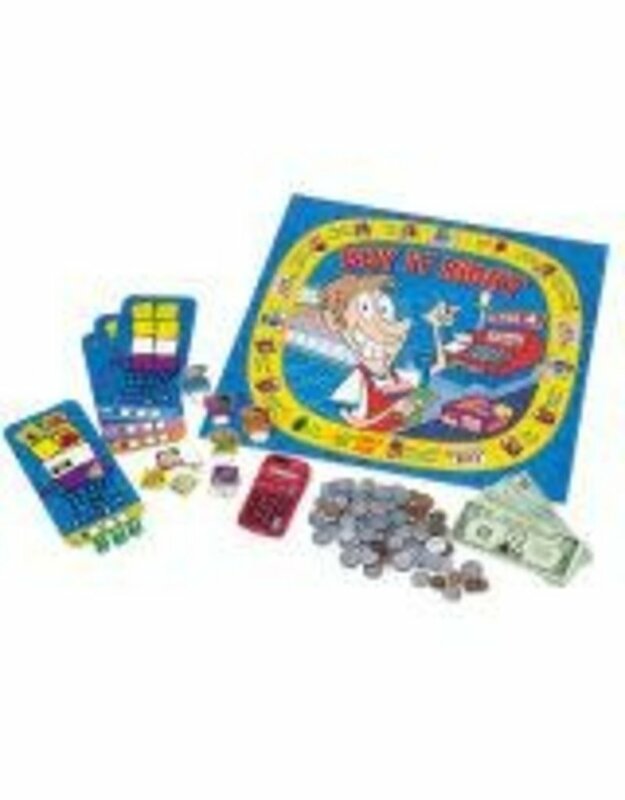 Kids can set prices, buy and sell items and learn the value of money as they move throughout the game board. Includes calculator, game pieces, 40 paper play bills and 100 plastic coins. For 2-4 players.